This newly opened mountain retreat offers exquisite contemporary mountain decor, fine Colorado woodwork, and beautiful hardwood floors. 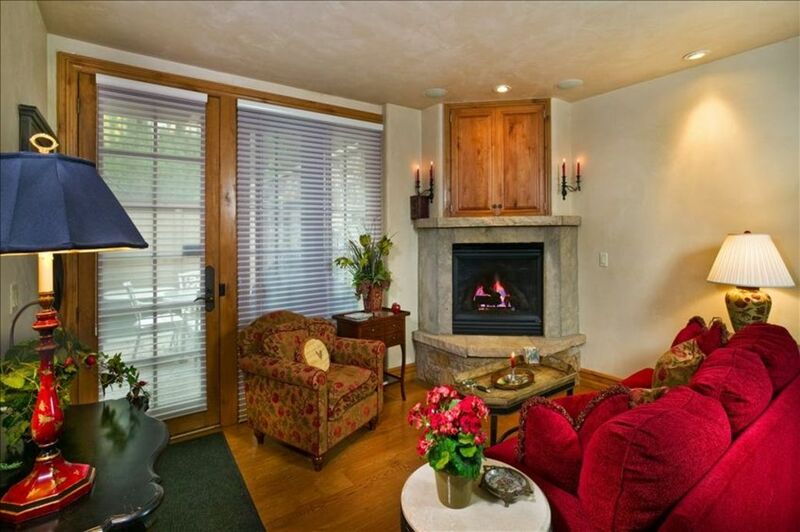 This condominium is situated in the heart of downtown Aspen. It is decorated with an elegant touch and top of the line furnishings throughout including gas fireplace, granite counter tops, steam shower and wine cooler. Enjoy the easy access to town and glorious views of Aspen Mountain. This unit is fully equipped with everything you will need for a fabulous vacation. The Master Bedroom has queen bed, flat screen TV and attached bath containing a fabulous steam shower. The Second Bedroom has a queen bed and flat screen TV. There are two additional bathrooms with one containing a shower and the other containing a full bath. Off the beautiful appointed kitchen is a standard size dining room. That leaves the cozy living room with a gas fireplace and LCD TV. Lastly is the hot tub is right out your door with a gas BBQ and for the ski enthusiasts, we offer a ski storage room, complete with boot and glove dryers. In the summer this room becomes the bike storage. Parking permit provided for on street parking. Well appointed unit in downtown Aspen. We were able to walk everywhere. Hot tub was awesome! We just completed a week-long stay at this condo. The location could not have been better for us. It is a convenient walk to restaurants, the market, ski rental shops, the Ajax gondola and the bus station. The condo was very clean and only a few steps away from the hot tub. The gas log fireplace, gas grill and steam shower were some of our favorite features. Our stay was extended due to circumstances beyond our control, and the agent was very accomodating to working with our needs. If paying with Credit Card or Pay Pal, there is a 2.9% fee added to the booking total.